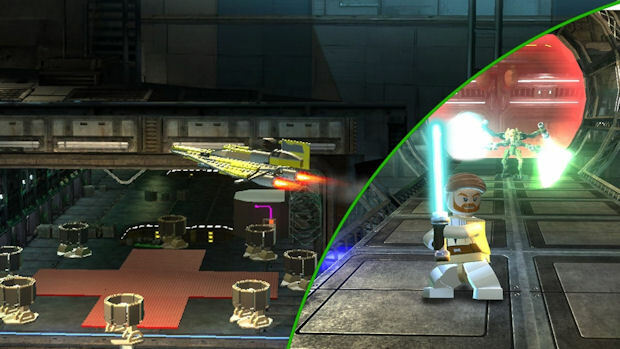 This is a list of over 30 Lego Star Wars 3 Vehicles like Starships from both the films and the hit-animated series, that are unlockable and playable in Traveller’s Tales latest action-adventure in the best-selling Lego Star Wars series. It’s also the first to be built for Wii, Xbox 360, PS3, PC, PSP, DS and 3DS. The following list of Vehicles all of which will be playable in the final game. Although this is a pretty full list, there may still be a vehicle here or there that is missing. Spot any? Vehicles available on the Resolute Starship (the Hub Area you start out at). Vehicles available on the Invisible Hand Starship (the Dark Side Area). Please leave a comment if you see missing vehicles and know how to find them. Thanks!